What makes a room seem warm? Everyone wants a homey and welcoming living room, making comfortable for us to unwind and calm our self from a busy day. To create a warm living room you can start by choosing the right color scheme. 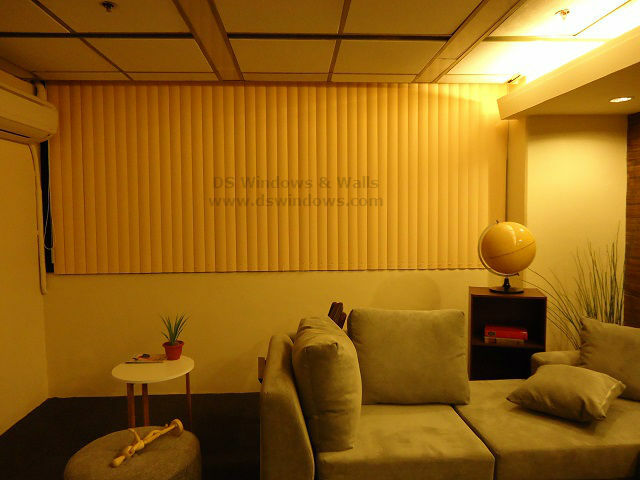 Colors have a great influence in making the mood and ambiance of the room. Neutral color is usually the best choice like white and beige, but sometimes it can turn into something dull and boring with too much plain color. Using color like yellow, orange and all their shades and tones are warm that you can add up to avoid the dull look in your room. These colors are a great at reflecting natural lighting filling the room with light and warmth. Adding plants and flower also will make your room appear more lively and refreshing. 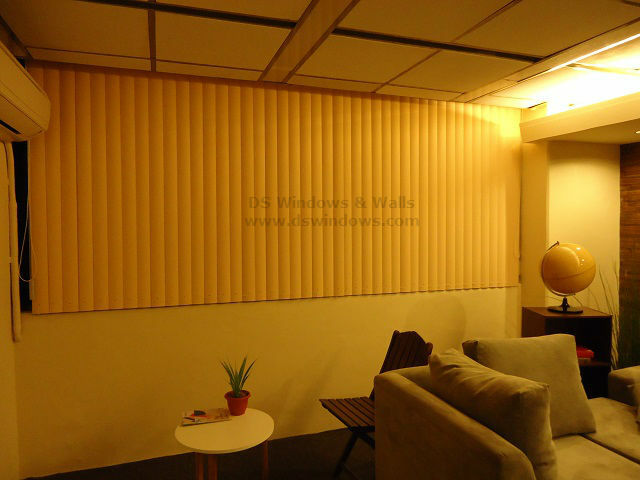 What’s great about PVC vertical blinds in terms of color is that unlike other types of window blinds the PVC vertical blinds has a lot of available colors due to the way it’s manufactured and painted so it’s easier to mix and match or experiment on warm or even cool colors for all types of room. 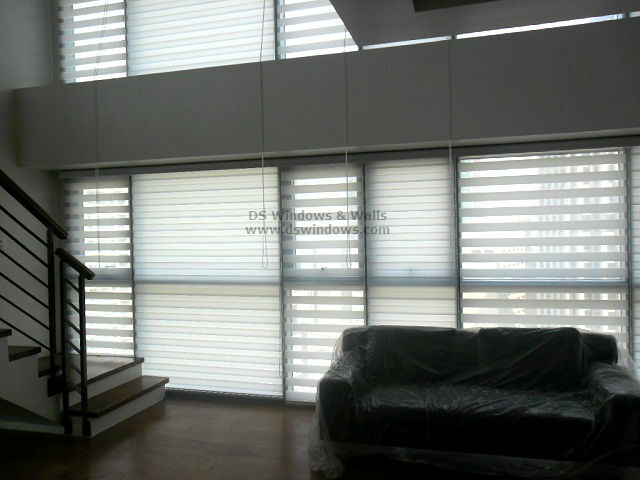 Of course another big thing to consider to compliment the warm color of your vertical blinds is the lighting. 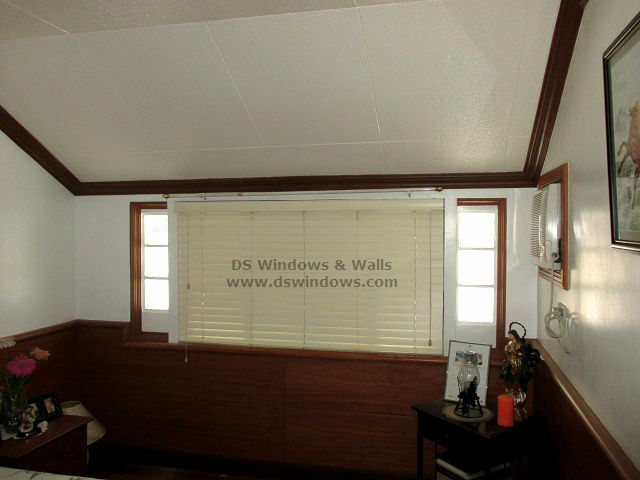 For this client of ours in Quezon City who wanted to make her living room warm and welcoming opted for PVC Vertical Blinds as window treatment while using artificial light to give an overall effect of welcoming living room during the night. During the day vertical blinds has a great way to control the amount of natural light getting through any room that is best to develop a tender ambiance. The sunlight and the fresh air add to create the perfect mood that fill home with warmth and life.